Canon Speedlite 430EX II Shoe Mount Flash for Canon great condition W/ Diffuser. this was used roughly 10 times. Condition is Used. Shipped with USPS Priority Mail. Used in great shape. An external flash such as the Canon Speedlite 430EX Flash are one of the most popular accessories among Digital SLR (and film SLR for that matter) owners. 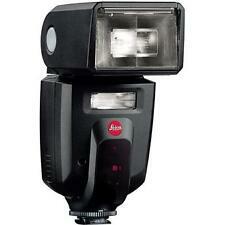 Replaces the Canon Speedlite 420EX Flash. Canon Speedlite 430EX II Shoe Mount Flash (Excellent, Lightly Used). Condition is Used. Shipped with USPS Priority Mail. Canon Speedlite 600EX-RT, used, fully functional and still fires great. Note that there's a burn in spot on the face, shown in the photos. Canon Speedlite 580EX Shoe Mount Flash for Canon w/ 2 Flashpoint triggers & 1 Flashpoint Receiver. Condition is Used. Shipped with USPS Priority Mail. Canon Speedlite 600EX-RT Shoe Mount Flash for Canon. Good Condition Used. 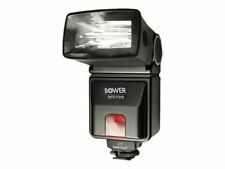 5 out of 5 stars - Canon Speedlite 600EX-RT Shoe Mount Flash for Canon. Good Condition Used. 18 product ratings18 product ratings - Canon Speedlite 600EX-RT Shoe Mount Flash for Canon. Good Condition Used. For sale is the compact and versatile Canon Speedlite 430EX (Mark I version). The head tilts and swivels and has a built-in wide panel. The flash is wireless compatible with the older light-pulse based (not radio signal) Canon system. 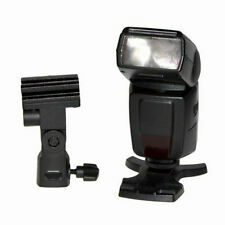 Canon Speedlite 600EX-RT Shoe Mount Flash for Canon (Excellent Condition). Condition is Used. Shipped with USPS Priority Mail. Canon Speedlite 580EX II Shoe Mount Flash for Canon. Batteries not included. Good used condition with normal wear. Comes with case. Fully functional and fires great. Canon Speedlite 430EX II. Includes Canon Speedlite 430EX II, soft case. Canon Speedlite 430EX II Shoe Mount Flash for Canon. Shipped with USPS Priority Mail. 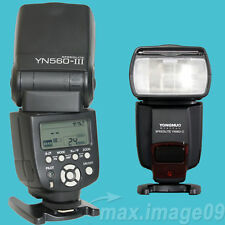 Yongnuo YN685 Wireless TTL Speedlite for Canon Cameras YN685/C. Only used several times. But works perfect! Need to sell because I already sold my camera. Shipped with USPS Priority Mail. 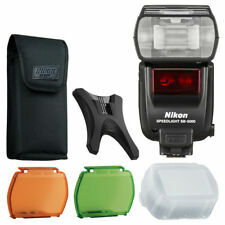 Nikon SB-910 AF Speedlight Flash. Condition is Used, Very Good, see the photos (actual item). This is a USA model. Not reconditioned or grey market. I have been the only user of this and I am not a professional photographer. 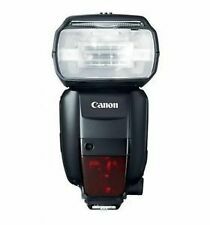 5 out of 5 stars - Canon Speedlite 430EX III-RT NEW! 31 product ratings31 product ratings - Canon Speedlite 430EX III-RT NEW! Model: SB700. Coverage: 12 - 120mm. Manufacturer: Nikon. For Nikon i-TTL. Flash Duration: 1/1042 To 1/40000 sec. Item Condition: Open box. Guide No. 92' / 28.04m ISO 100 At 35mm Position. Canon Speedlite 580EX II Flash. Works great. Condition is Used. Shipped with USPS Priority Mail. 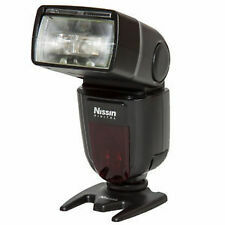 This is a used Nikon Speedlight SB-900. However there are no cracks or serious issues. All the buttons and functions of the flash work perfectly, there are just scratches and scuffs on the screen and unit but nothing that affects normal use. Model 430EX II. The flash is powerful enough to improve the quality of images even in the poorest of light conditions. Zoom Automatic. Type Shoe Mount. Product Key Features. 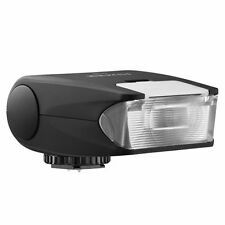 Features E-TTL, AF Assist Light, TTL. I'll add another shot from a top down view later. Condition is Used. Waschecked by Canon in 2015 and hardly used since. Canon Speedlite 600EX-RT Shoe Mount Flash for Canon. Excellent Condition. Canon 580 EX II Flash (Water Resistant) Speedlite Model: 580 EX II Serial: 168229 Compatibility: Canon EOS Please see my other items. MK900 i-TTL Speedlite Master/Slave Flash for Nikon. 1x MK900 Flash. Flash duration: Normal flash: 1.2ms or shoter; Quick flash: 2.3ms or shoter. Swinging/Tilting flash head(bounce flash). Powerful Flash with High Guide No.58(ISO 100, 180mm). Unless otherwise stated, this has been tested for key functionality. We are otherwise not open to the public. Package Contents: 1x TT685N camera flash 1x Mini stand 1x Protection bag 1x User Manual Brand Godox Country/Region of Manufacture China MPN Does not apply Features 2.4G 1/8000s Type Shoe Mount Model TT685N Compatible Brand For Nikon Color Temperature 5600K±200K Guide Number(m ISO 100) 60M Size 64 *76*190 mm Flash Duration 1/300 to 1/20000 second UPC 711811937699. Canon Speedlite 580EX II Shoe Mount Flash for Canon. Condition is Used. Shipped with USPS Priority Mail Medium Flat Rate Box. With wireless two-way radio communication, the Speedlite 600 EX-RT allows photographers to expand their creativity using wireless speedlites with the reliability of radio triggering. Canon Speedlite 600EX-RT Shoe Mount Flash.